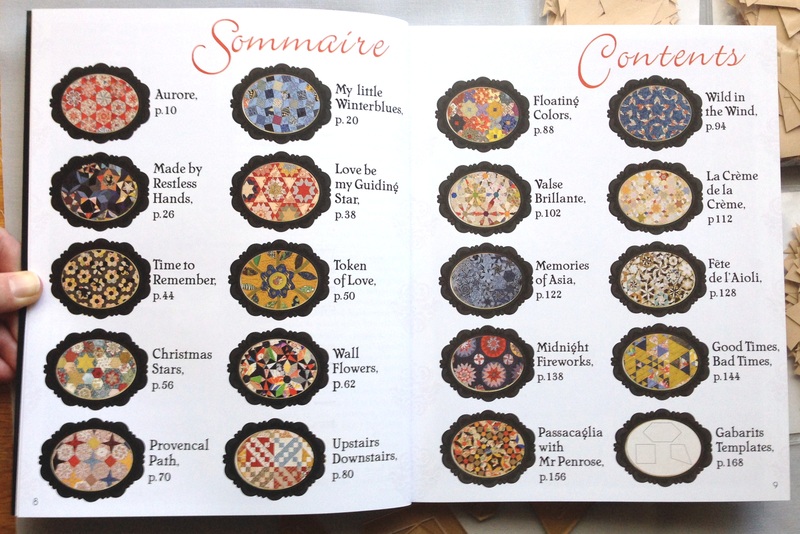 I mentioned in my QuiltCon blog post that I intend to begin a La Passacaglia quilt. Naturally, I’ve begun with more research than can help me actually do the work and make the quilt. I thought I’d summarize some things for anyone else who wants to do this project because it is blowing up all over the interwebs! 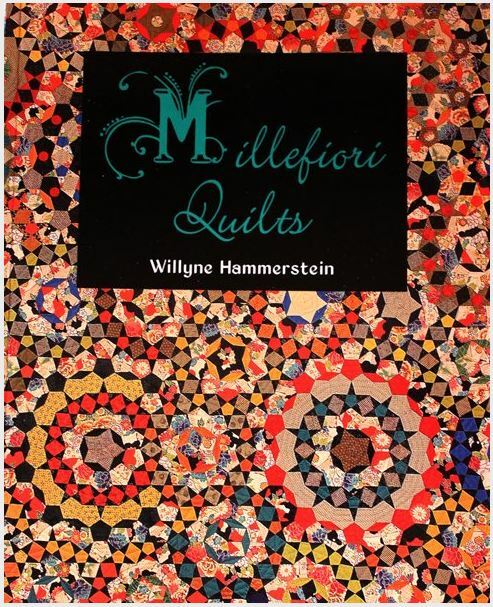 First, we’re talking about the La Passacaglia Quilt pattern from the book Millefiori Quilts, which features 19 of Willyne Hammerstein’s quilts. All that Italian actually does a great job of describing the style: millefiori is a combination of the words “mille” (thousand) and “fiori” (flowers). Certainly the concept of a thousand flowers applies to the La Passacaglia, which has many rosettes/flowers making up the quilt. Passacaglia comes from the Spanish “pasar” (to walk) and “calle” (street). Think walking or dancing down the street—perfectly appropriate if you imagine winding, cobbled lanes and compare that against the many curves in the quilt. Instructions in Millefiori Quilts are for machine piecing the quilts. However, if you’ve ever done a Y-seam, you can understand why a majority of people are choosing the English Paper Piecing (EPP) method instead. Items include the book, acrylic templates, and all the paper pieces necessary to make the quilt. I might have bought a smaller set of papers if I had it to do over again since you can just reuse them, but it’s nice not to have to. Between these items and the fabric, it’s probably going to be the most expensive quilt I’ll make… but have you seen how awesome it looks?! I’ve also seen acrylics on Etsy that have holes at the intersection of each seam allowance in case you want to machine piece and mark your Y-seams. 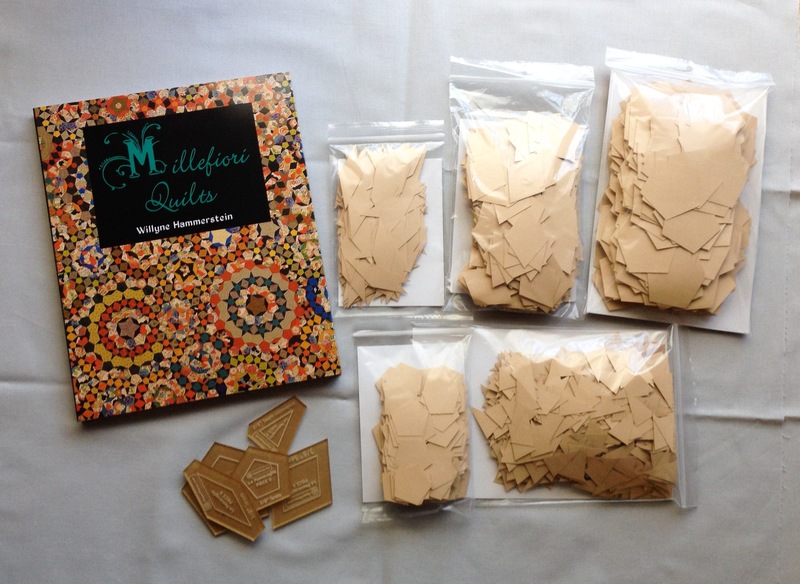 This info comes from the number of pieces in paper piecing packs, rather than the pattern itself. I was surprised not to see any hexagons and also that there were only five shapes for the entire, very busy quilt top. 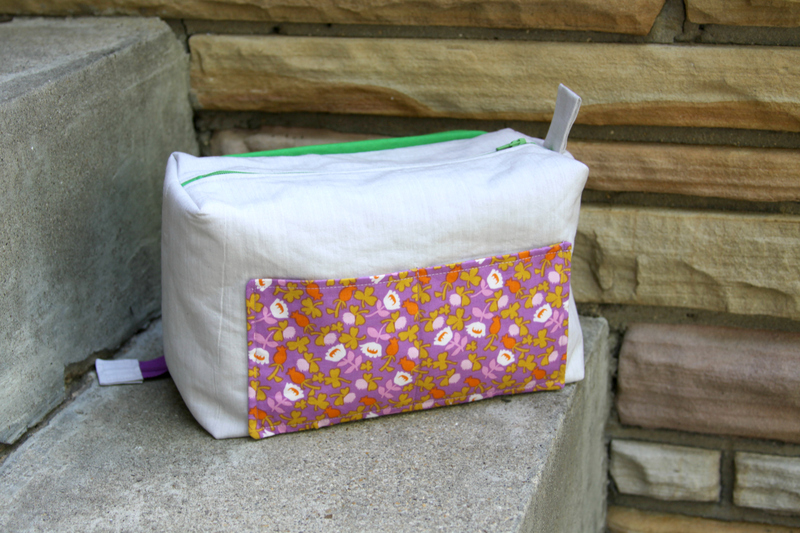 Standard EPP protocol is to add 3/8” of fabric around each side. Common alternatives are ¼” or ½”. 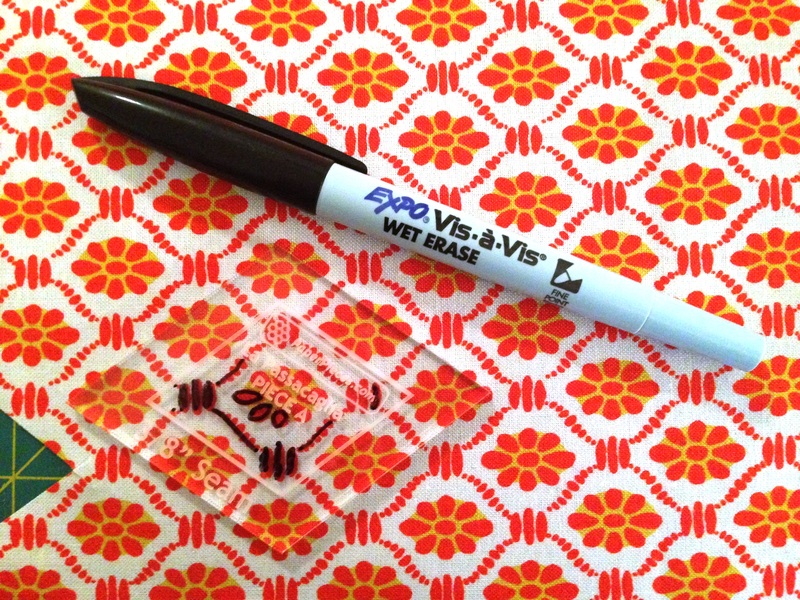 Acrylic templates are available in each of these size preferences. In EPP, most pieces are the same measurement along all sides. 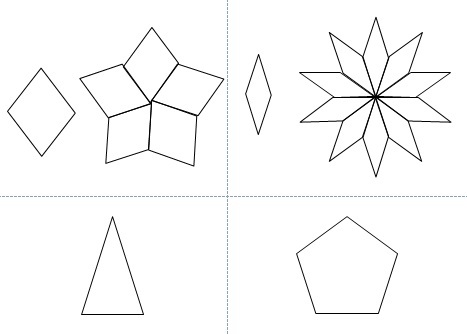 (An exception from the pieces above is the isoscolese triangle, which is equal on the two long sides but has a shorter “bottom” that matches the length of the pentagon sides.) EPP pieces are measured along one of the equal sides. There are several methods of basting EPP pieces. One method is to sew around the shape. Even this has several different versions. In one version, you just tack the fabric along each corner of the piece. In another, you weave your thread along the length of fabric between each corner. I plan to do the first of these since that’s the method I learned in my EPP workshop with Katy Jones of imagingermonkey. And it’s faster and doesn’t mean ripping any paper at the end of the project. Another method is to glue baste. 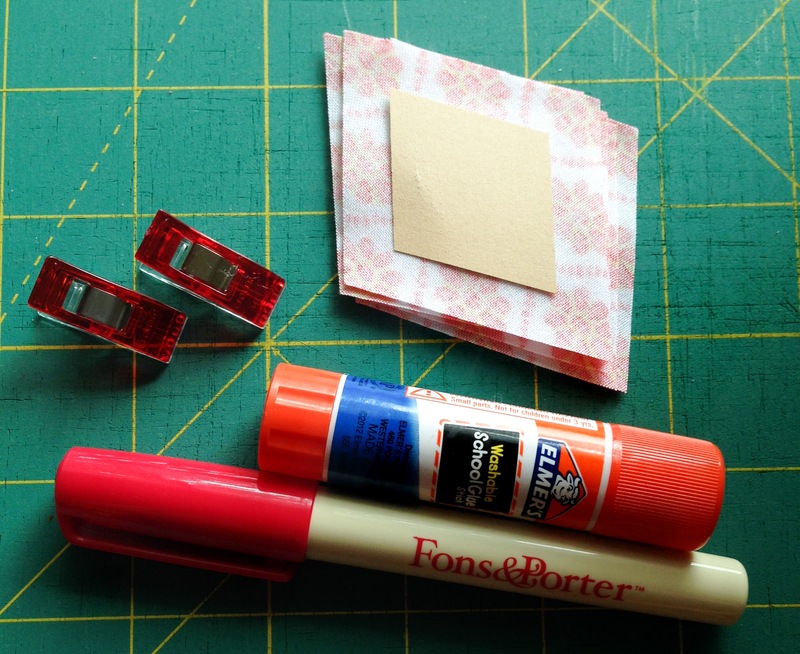 Some glue pens are specifically made for gluing fabric; I have the Fons & Porter version. I’ve also read that a plain, washable glue stick works well. 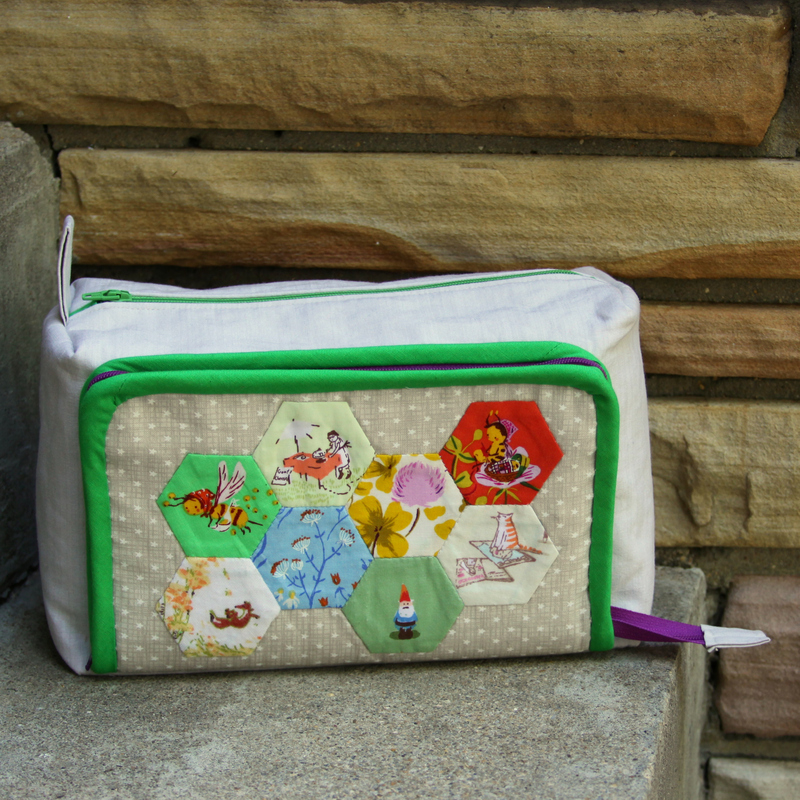 (It worked great when I glue basted a zipper on this bag.) I have been gluing some of the fussy cut fabric pieces lightly to the papers to keep them from shifting while I hand baste around the edges. It’s been working pretty great. So far, I’ve only used the glue pen, but I’ll likely switch to the Elmer’s when that runs out. 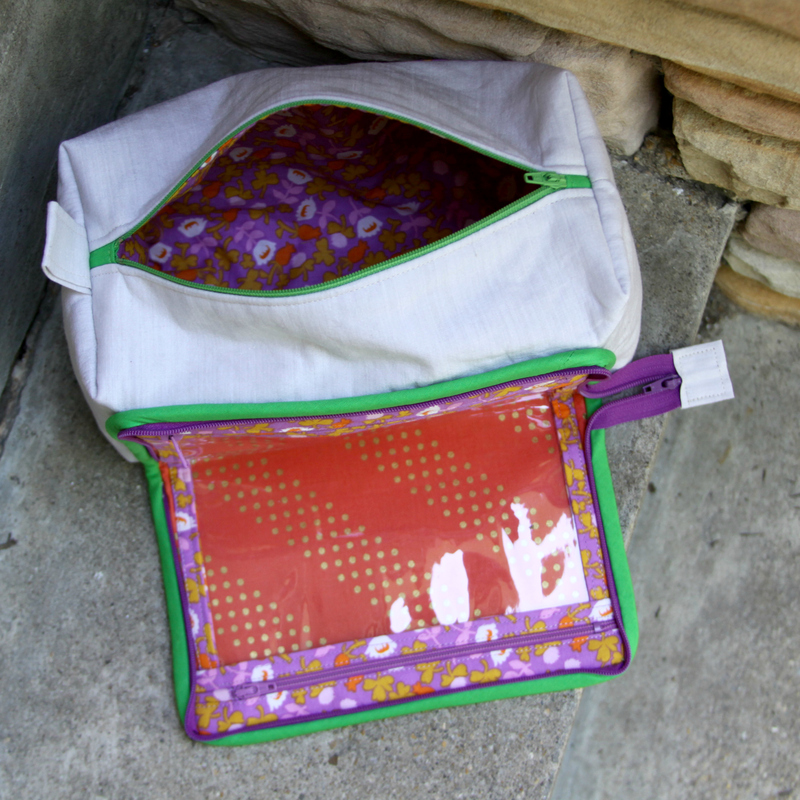 Solids are a great choice for EPP. However, one reason I’m excited about this project is a chance to make repeatable patterns from fabrics. I’ve mentioned BEFORE that while I like the look of a repeatable pattern across an entire quilt, I deplore the monotony of chain piecing. Now is my chance to let precision shine! By “fussy cutting” fabrics, you can highlight a portion of the design. It works great with florals/swirls. I’m also thinking about including a few Heather Ross novelty prints. If you don’t know where to start, Google Amy Butler, Tula Pink, and Anna Maria Horner prints to see fabrics with repeatable patterns. The tricky part about fussy cutting is ensuring all the pieces are consistent. Florence of Flossie Teacakes had the genius idea to make her own plastic templates and draw with pencil the outline of her repeating fabric pieces. Modifying this concept, I have been using erasable marker on the acrylic templates I purchased. It is working great and wiping off cleanly. 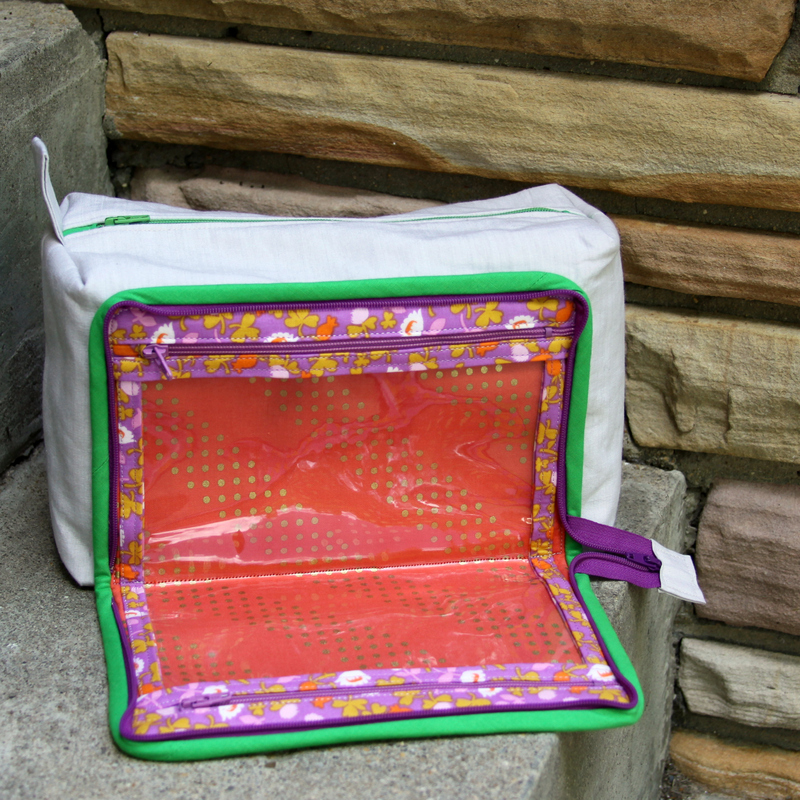 For the back of your EPP, you can use any thread you want. I still use Aurifil brand thread for this because it doesn’t break or tangle as easily as other threads, but since you aren’t relying on it to hold long-term, you can use anything that will last until you stitch your pieces together. For stitching pieces together, some threads are less visible than others, so you can decide how “handmade” you want your EPP to look. A woman in my EPP workshop said she swears by silk thread for connecting pieces. Florence blogged about a polyester thread (Superior Threads brand, Bottom Line type – bought mine here) that piqued my interest. I can’t tell whether I like it. I admit the end result is much prettier/less visible stitching, but the thread is kind of “bouncy” to sew with. When I pull the thread tight at the end of each stitch, it’s kind of like a bungee cord; it stretches longer than it seems it should, then bounces back to a resting position. So it feels weird to sew with but looks fantastic! I think I will continue to use it. I hope it’s durable when I’m putting so much time into one project! I’ll post photos of my first Passacaglia rosette when it’s finished so you can compare. Lorena Uriarte of ikwilt doesn’t feature a Passacaglia but does great fussy cutting. OKAY, I’M READY TO START! I plan to make my La Passacaglia in blue and orange. It’s my favorite combination, and I found a crazy amount of inspiration from @elisabew’s Farmer’s Wife and blue & orange Marcelle Medallion quilts. I’m concerned the cogs might flow together a little bit, but Pinterest user Quilt Passion (Åsa Holmér) did a good job of distinguishing hers using only a blue and white palette. My quilt will have blue and orange AND white, so with a whole extra color, I should be fine… right?! Well, I think that about covers EPP generally and La Passacaglia more specifically. There’s nothing left but to dive in. Which is exciting… but also a little unfortunate since the planning/research is my favorite part, aside from having a finished quilt to show off. Since it’s going to take me forever, I have a WIPs page (tab at the top of the blog) available so it is easy to track my progress on this and a few other long-term projects. Categories: Quilts | Tags: 10-pointed star, 5-pointed star, 60 weight, 60 wt, acrylic, acrylic templates, amy butler, anna maria horner, aurifil, baste, basting, blogger, blue, blue and orange, blueandorange, bottom line, card stock, cardboard, cardstock, chain piecing, complete passacaglia kit, cotton thread, crafter by night, cutting, diamond, diamonds, elisabeth woo, elisabew, elmer's glue stick, english paper piecing, epp, etsy, fabric, farmer's wife, five pointed star, flickr, florence, flossie teacakes, fussy cut, fussy cutting, glue baste, glue stick, gluestick, hand baste, hexagon, hexagons, hexies, how to, how to english paper piece, how to epp, inspiration, inspirational, isosceles triangle, isosceles triangles, la passacaglia, liberty, liberty fabric, liberty lawn, liberty tana lawn, lilabellelane, link, little red hen, marcelle medallion, measuring, michal erika, millefiori, millefiori quilt, millefiori quilts, mommy by day, octagon, octagons, orange, orange and blue, paper pieces, paperpieces, paperpieces.com, passacaglia, passacaglia inspiration, passacaglia kit, passacaglia quilt, pattern jam, pentagon, pentagons, pieces, planning, plastic, plastic template, polyester, polyester thread, primer, quilt, quiltcon, quiltcon 2015, quilting, quilts, repeatable, repeatable pattern, resource, resources, ruler, seldear, sew, sewing, sewline, sewline glue pen, start epp, starting epp, superior threads, tana lawn, template, templates, ten pointed star, the little red hen, thread, triangle, triangles, tula pink, where to begin, willyne hammerstein, WIP, wips, work in progress, works in progress, y-seam, zipper | Permalink.